St. Mark's Church, 131 East 10th Street, at Second Avenue, in Manhattan. 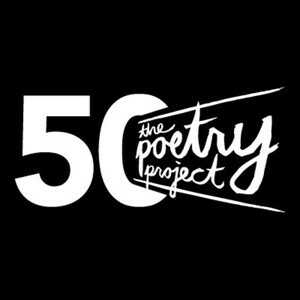 The Poetry Project is hosting its first-ever gala to celebrate its 50th anniversary. The gala will honor Anne Waldman for her radical and inspiring contributions to international contemporary poetry and activism, and for her past leadership of The Poetry Project. The evening includes performances by composer and performance artist Laurie Anderson, writer and vocalist LaTasha Diggs, and choreographer Yoshiko Chuma. Performances by Anne Waldman, Laurie Anderson, Yoshiko Chuma, and LaTasha N. Nevada Diggs. Gala Host Committee: RoseMary Carroll (Chair), Elinor Nauen (Co-Chair), Lee Ann Brown and Tony Torn, Yoshiko Chuma, William Corbett, Will Creeley, Ted Dodson, Stephen Facey, E. Tracy Grinnell, Molly Gross, Bob Holman, Vincent Katz, Nathan Kernan and Thomas Whiteridge, Annabel Lee, Rachel Levitsky, Gillian McCain, Anna Moschovakis, Eileen Myles, Tracie Morris, James Sherry, Patricia Spears Jones, Pat Steir, and Edwin Torres. Writer and Vocalist LaTasha Diggs, is a BEI Emeritus Fellow; Patricia Spears-Jones, a BEI Senior Fellow is on the Gala Host Committee; and the Gala’s honored poet, Anne Waldman, is featured in BEI’s About Place Journal Issue 4: Wall Street. Event is held at The Poetry Project at St. Mark’s Church. Gala tickets are $150. After-party only tickets: $25. Tickets can be purchased online here. All proceeds support the artistic programs of The Poetry Project. Gala Sponsors: Carroll, Guido & Groffman, LLC, Committee on Poetry, Ingram, Justin Jamail, McNally Jackson Books, Elinor Nauen & Johnny Stanton, and Nine Cakes.